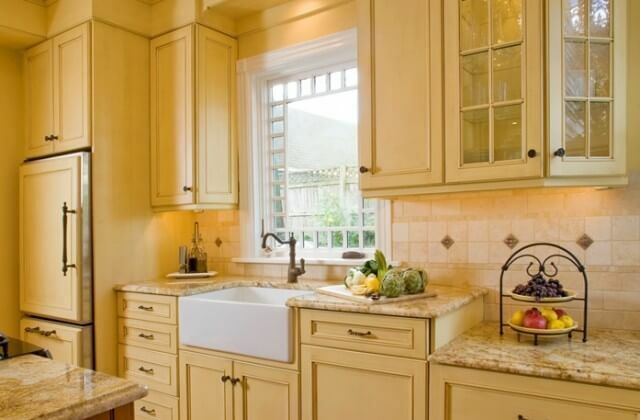 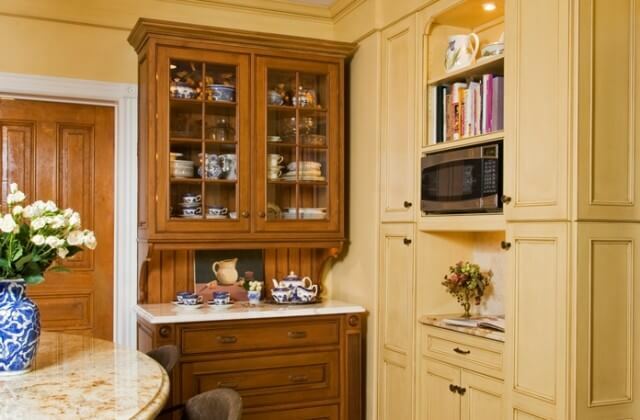 Hand painted kitchen cabinetry – painted custom made cabinetry compliments the hand stained island and kitchen hutch. 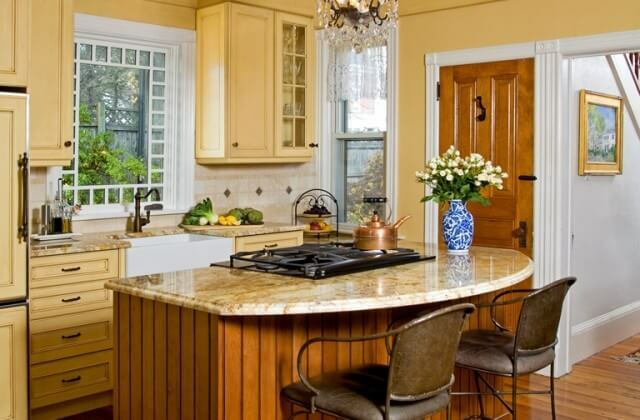 The white farmhouse sink helps create a focal point around the window. 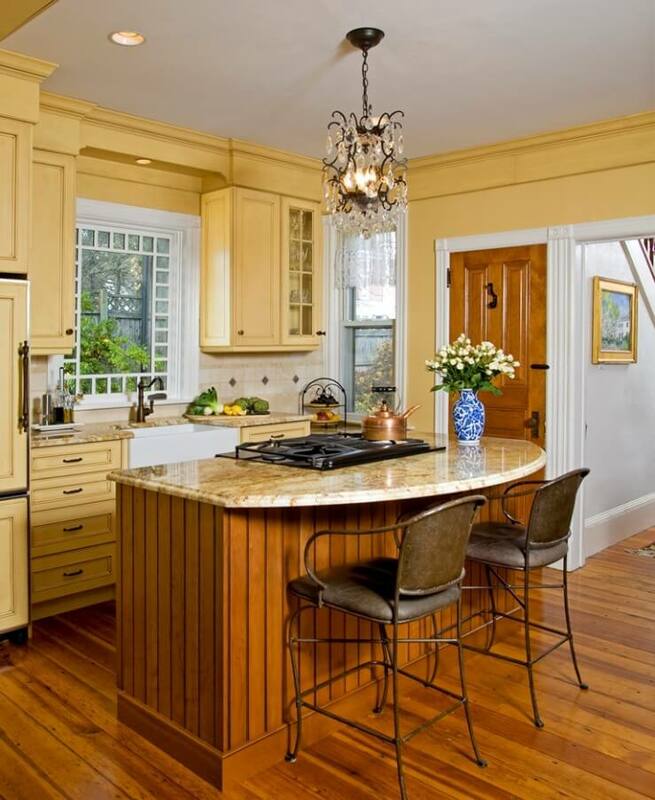 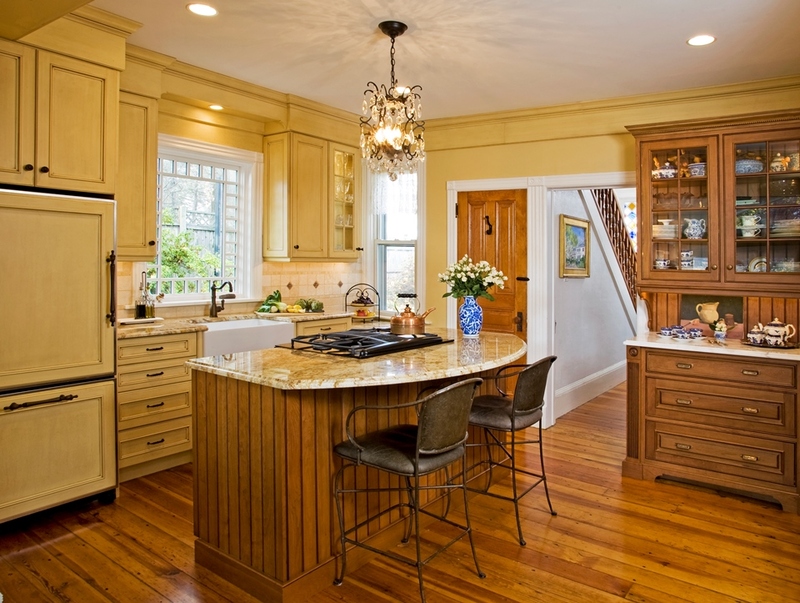 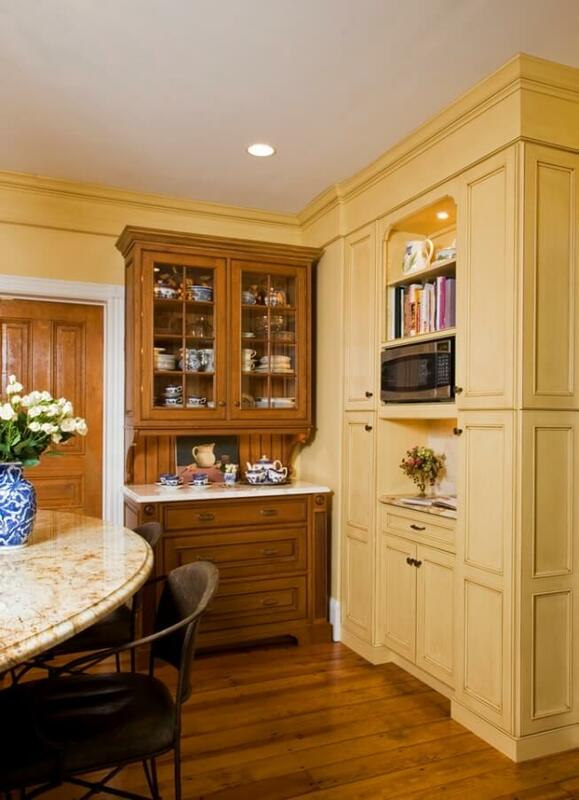 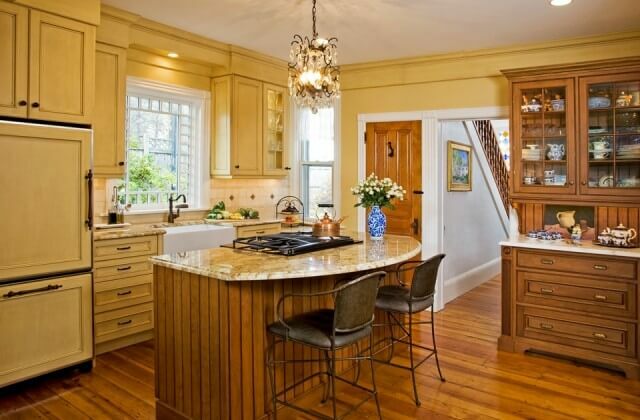 This kitchen was custom designed and blends sophistication with with period charm. 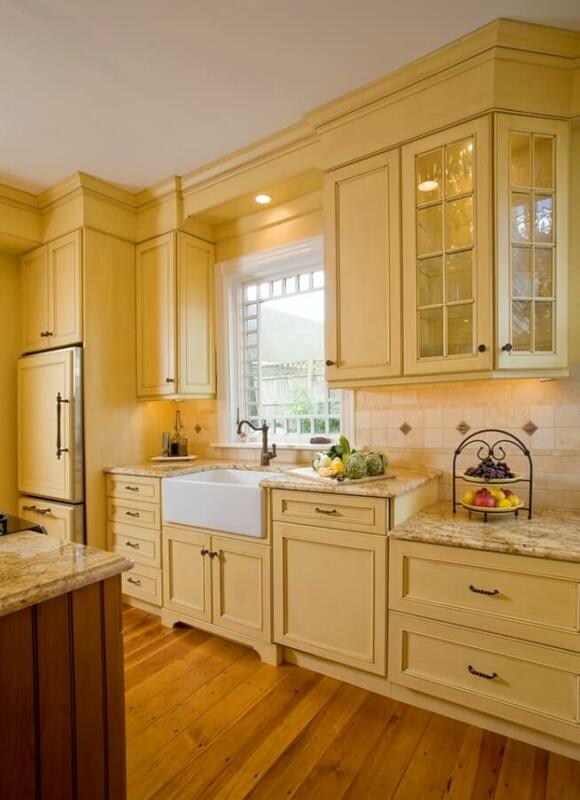 Designs by Superior Woodcraft bring beauty, utility and harmony into our client’s homes and lives.